South Crofty is an ancient mine, it has seen production for over 400 years, and extends almost two and a half miles across and 3,000 feet (910 m) down and has mined over 40 lodes. 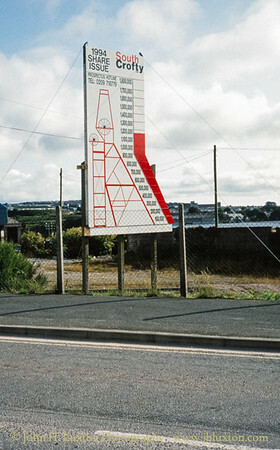 Evidence of mining activity in South Crofty has been dated back to 1592, with full-scale mining beginning in the mid-17th century. 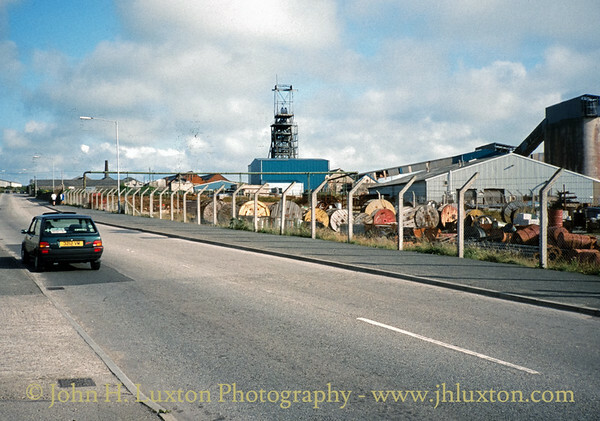 The mine went into serious decline after 1985 and eventually closed in 1998. Some parts of the site including that around Robinson’s Shaft have been redeveloped as the Heartland’s Heritage Project where the mine buildings have been conserved, repaired and utilised for various functions including retail, heritage and catering. New housing is also being constructed. The rest of the mine has remained mothballed since closure with various plans being put forward to restart production by several owners – the latest proposals were made in 2016. Slightly blurred - New Cook's Kitchen Shaft - seen from a passing train. 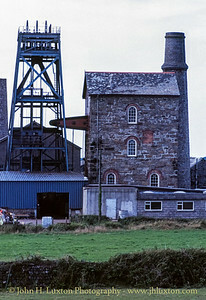 Robinson's Shaft Engine House which contains a preserved Cornish Engine. 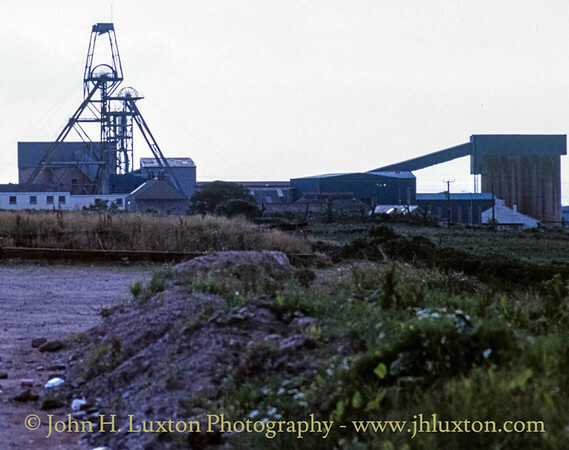 This section of the mine has been redeveloped as part of the Hartland's Project and is now open to the public. 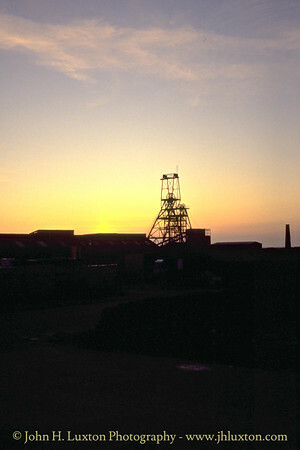 Cornish Mining Sunset - New Cook's Kitchen Shaft headgear. 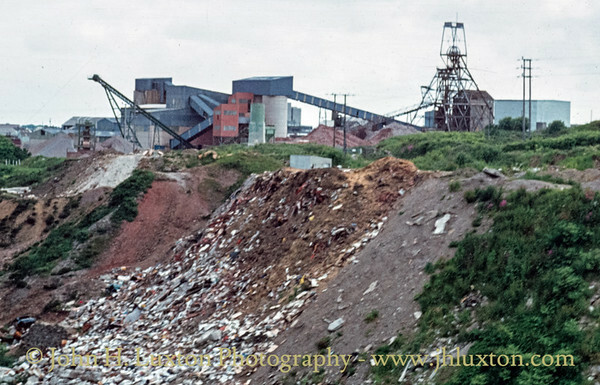 South Crofty Mine - New Cook's Kitchen Shaft complex. My then car a Rover Metro GTA can be seen. In 1994 South Crofty were raising funds to keep the mine going and your web master invested £200 to support Cornwall's last tine mine! Unfortunately after a while the shares were bought back by new owners of the mine for around half of the purchase price!